Unfortunately, the Event Mode this week has been cancelled due to a critical error. We apologize for any frustration or disappointment this has caused. Event Mode: Platoon will not be returning next week, but will return at a later date. For this week's event mode, we're debuting something new to events. In Platoon Mode, you'll join one of 5 10-person squads that make up your Platoon. Normal game objectives still apply, except on a massive 50 vs. 50 scale. Loot up and coordinate to be the last Platoon standing! 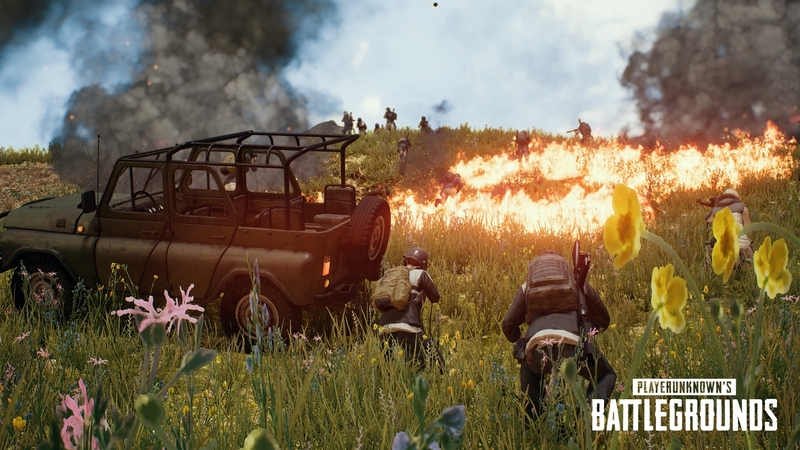 Two teams (Platoons) of 50 players will fight in Erangel. Each Platoon is comprised of 5 squads, and each squad has 10 players. Players in your Platoon, but not in your squad, will have a blue circle above their head. Players in your Platoon, but not in your squad, are marked with a blue circle on the minimap. Other rules are same as public match. 10-man squads only. Auto-matching is forced. Weather is set to Sunny. General care packages are enabled. Friendly fire is disabled (Including Platoon members).